The Forgotten Journey Remastered Edition! This version is almost a complete remake of the original game. It has been totally rebalanced, almost all dialogue was re-written, several hours worth of new scenes and game content have been added, some environments have been re-designed, visuals have been remade or remastered, and additional music has been composed – among several other changes. So while based on the original game, this is a new and much improved experience. Players who bought a previous version can access this new release for free, so I encourage everyone to check it out! Old save files, however, are not compatible with this release. It's taken a lot of work, but I hope players new and old will enjoy the Remastered Edition of 8-Bit Adventures! It's time for a new version of Martian Mix-Up! Every level is now accessible from the moment you start playing - there are no more ads or paid unlocks! I hope that this will encourage players to try out the wide range of content present in the game. Instead, the game now runs on lives. Players will receive 20 free lives to get them started, plus 3 bonus lives every day they play. Additional lives can be purchased if desired. There are also some special Easter Eggs hidden in this version of the game. Please watch @CriticalGamesAU on Twitter for more information! Download it now for FREE on the App Store! 16-Bit Game Quiz SNES Edition Version 2.0 Released on iOS! 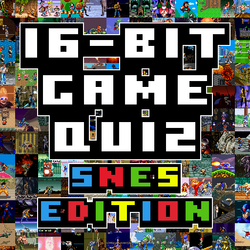 A brand new version of 16-Bit Game Quiz SNES Edition has just been released for iOS! It's a massive update, featuring new visuals, new content, and new features! I've put a lot of work into improving the experience, so I hope everyone enjoys it. - Completely re-drawn graphics! - Almost every part of the user-interface has had a visual overhaul. - Optimised for iPhone 5! - No more black bars; now the game takes full advantage of that beautiful 4-inch screen. - 45 New Games to Name! - Completed SNES Quiz? Think again! Nine games have been added to the original Bonus Level, along with a brand new level featuring 36 more games! - Twitter integration! - Stuck on a game and don't want to use your hard-earned Hint Stars? Now you can post to Twitter and get help from your friends! - Online Leaderboards! - Compete with friends and retro gamers from all around the world to see who knows the most about the SNES library! - Numerous bug fixes! - More of those nasty little bugs that like to get in the way of your fun have been squashed. I sincerely apologise that I could not provide this content for Android users, but I hope iOS users will appreciate the new changes. Check out the game HERE and enjoy! Released on iOS for FREE! It's that time again...time for the release of a brand new app from Critical Games! Martian Mix-Up asks the question: Are you ready to run? Join the cutest Alien duo in the galaxy on a tap 'n go adventure! 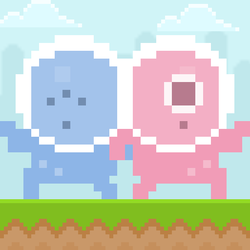 Use their Swap powers to avoid obstacles, grab coins, change gravity, defeat enemies, and more! Challenge your friends to beat your high scores in Endless levels, or explore new ways to play in exciting Normal levels. Every stage is a new challenge - can you conquer them all? Whatever you enjoy, Martian Mix-Up has something for you! 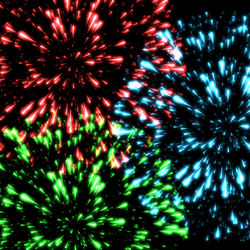 Tap the fireworks as they fly, to create a dazzling display of light and sound! Paint the sky with your fingertips, or relax and watch a randomised firework display! Get creative - play the way YOU want to. Whether you're a kid, or a kid at heart, it's Firework Fun for all ages! Download it today on iOS or Android! 16-Bit Game Quiz SNES Edition Released on iOS! SNES Quiz on iOS devices for FREE! It's had some tweaks, and there are 36 different games, so even if you've played the Android version, it's worth a look. If you want to really test your knowledge of the Super Nintendo, download '16-Bit Game Quiz SNES Edition' today! SNES Quiz Released on Android! A brand new game from Critical Games is out! You can get SNES Quiz on your Android device right now! Can you collect the keys and name all 250 games? Get it here! 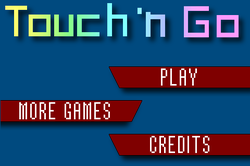 Touch 'n Go Released on iPhone! It's been a long time coming, but Touch 'n Go is now available on the Apple App Store! A few tweaks and changes have been made to better accommodate the iPhone platform, so I hope players enjoy it. Yes, it's finally time to bid adieu to the old website and step into the future with the new and improved criticalgames.com.au! While most of the content is the same as before, the new coat of paint makes everything feel much fresher, and the website's design is much more streamlined and modern. I hope you enjoy your stay here on criticalgames.com.au, and please stay tuned for future announcements! 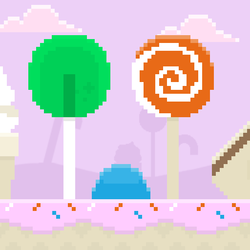 Ready for a new endless runner with a colourful twist? Use the simple dual-touch controls to change colour, shift your shape, and dodge the obstacles. The further you go, the higher your score - how far can YOU get? Check it out in its own section of the website! Or get the free version here, or the full version here. Patch v1.02 has been released, and brings with it some minor additions to the opening of the game. These changes have been suggested by multiple players, so I hope they improve the opening of the game for everyone. 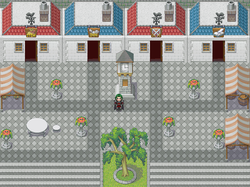 Firstly, a new cutscene has been added at the beginning of the game to better introduce the game's storyline. And secondly, additional dialogue has been added to the opening section of the game to give players a better idea of where to go. 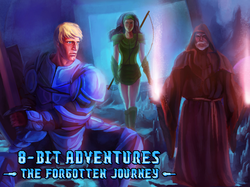 Thank you all for your interest in 8-Bit Adventures: The Forgotten Journey, and your feedback. The first of these announcements is a little bit late, but 8-Bit Adventures is now available on the fantastic Desura platform! Head over to the 8-Bit Adventures page on this website to check it out. Additionally, after hearing complaints from numerous players that the first dungeon in the game is too difficult, I decided to re-balance that section of the game to reduce the difficulty and hopefully ease players into the game a bit more gently. That is not to say that the game is now easy, but players should have a much simpler time entering the world of 8-Bit Adventures than they previously did. - Re-balanced the first dungeon to reduce difficulty due to player feedback. - Enemies in the first dungeon are now slower, have less defence and deal less damage. - Escape chance is now 100% inside the first dungeon. - EXP given by enemies in the first dungeon has been increased, reducing the length of time between level ups. 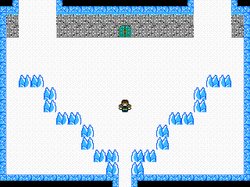 - One additional Potion has been added to the first dungeon, for the player to find and use. I hope that this first patch improves the game experience for some users, and if anyone ever needs help or wants to ask a question, simply post your query here on the Critical Games website, or on any of the other websites (such as Amaranth Games, Aldorlea Games, and Desura) that are selling 8-Bit Adventures: The Forgotten Journey. Yes, it's finally that time again! Critical Games' newest release is available for trial and purchase right now. While it is a traditional RPG like Path of Thanatos, fans of that game might find 8-Bit Adventures to be a very different experience. 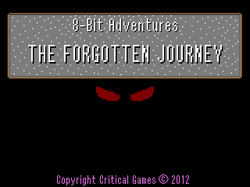 A large tribute to the 8-Bit games of yore (also known as the mid-to-late 80s), Forgotten Journey features 8-Bit style graphics, a completely original soundtrack composed in the retro style, numerous references for fans of NES and Gameboy games, as well as a ton of areas to explore, side-quests to complete, baddies to beat, and a fun story to enjoy. Check it out now - either here on the website, or at Amaranth Games. Have fun! Coinciding with the release of P.I.E for no particular reason, I'd like to announce that Path of Thanatos has recieved a price-cut from $8 to just $5. So if you haven't checked out Path of Thanatos, or dismissed it at its previous price, I'd encourage you to take another look! Well, it's been a long time since my last news post, but in the meantime I've been hard at work on Critical Games' next big project. Unfortunately, it's still not quite ready to be shown off properly and I have to really apologise for that - there have been some complications. Still, on the whole it has progressed quite nicely and it's changed a lot since I first announced it back in October. In the meantime, I thought I'd release a game that I made over the past couple of days in my spare time - a little bit of fun called P.I.E (which stands for Player Interactive Exercise). Essentially, it's a simple game that spans 10 maps and determines a player's learning style based on how they complete those 10 maps. It's now got its own page on the site, so if you're interested, go have a read and download it! Today I released v1.01 of Path of Thanatos. 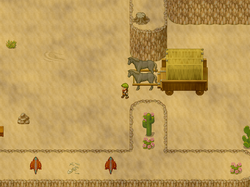 This allows you to play the game without the need for the RMXP RTP to be installed, and also fixes a bug affecting the wagon in the Hekan Desert. 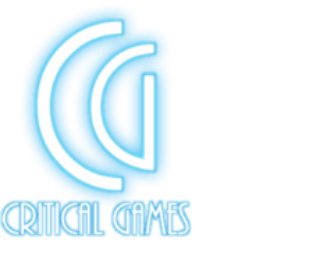 The official Critical Games website is now live!